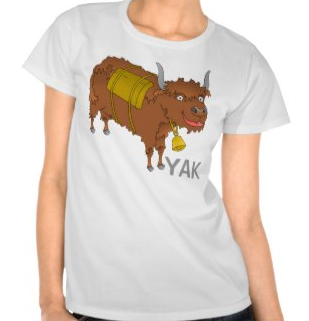 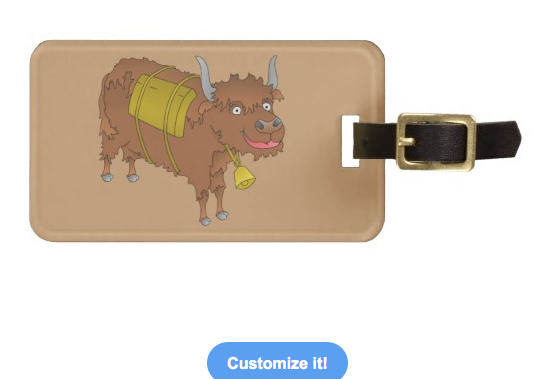 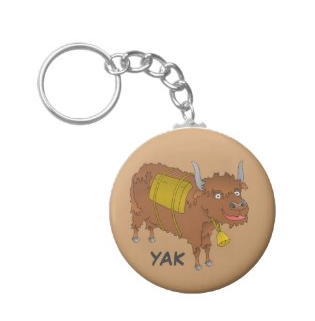 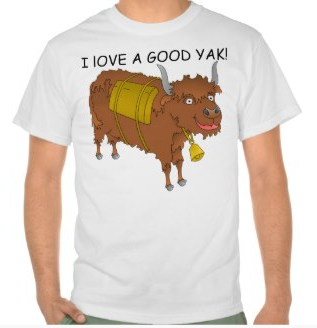 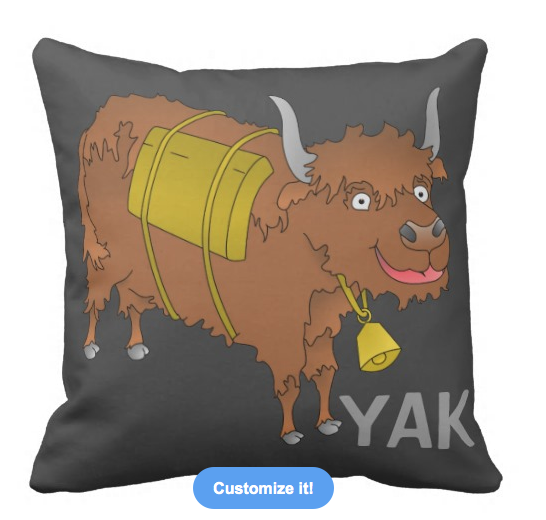 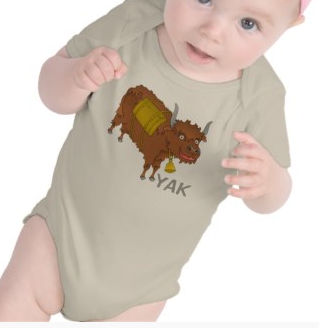 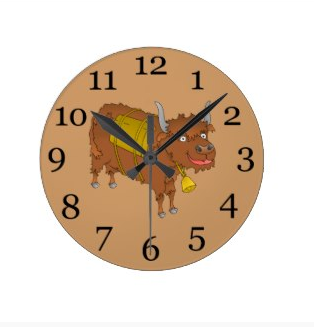 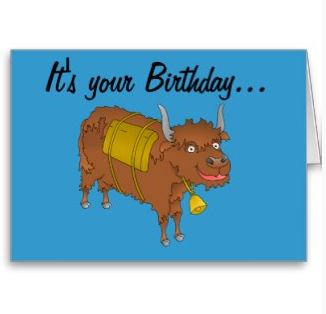 This Yak design can be found on a variety of products in my mailboxdisco store. 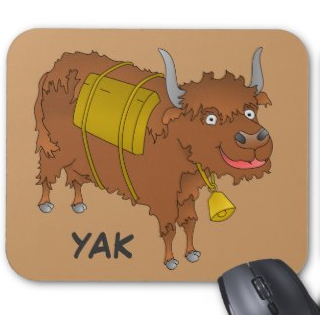 A brown, hairy, cartoon yak, smiling happily. 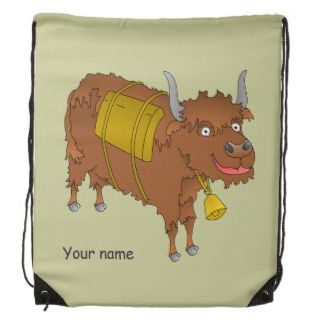 He has bags strapped to his back. 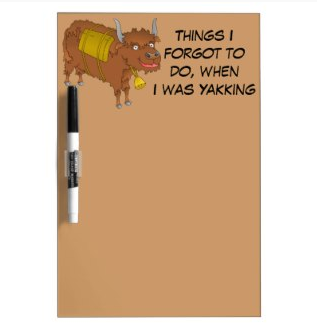 The text can be customized or removed.